As I mentioned last week, Of Mice and Men is my favourite book ever. 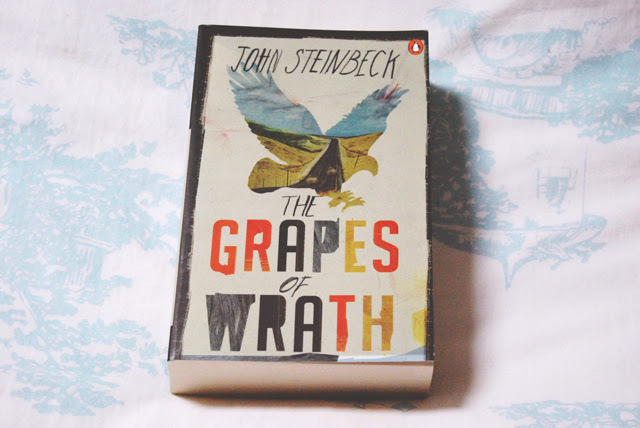 I know Steinbeck is most well known for The Grapes of Wrath so I've been meaning to read it for the past 10 years. Finally, I got round to it! 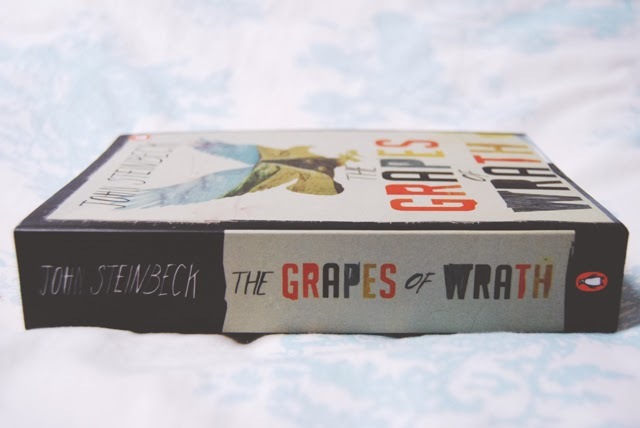 Whereas Of Mice and Men is around 140 pages long and super concise, The Grapes of Wrath is over 520 pages long. It's definitely not concise. (And I'll stop comparing the two books now). It tells the story of Tom Joad, an accidental criminal who heads back to his farming family home on release from prison. When he arrives, he finds the family packing up to head west after tractors have made farm workers redundant. As they travel to California in search of work, they lose people and gain others, eventually reaching the west and finding that the promised work was a myth. I found that the first 200 pages or so were filled with waffle and it was quite slow-paced. A lot seemed to happen that really added nothing to the novel. For a book of this length, it's hardly needed as filler so I just found it quite cumbersome. However, as the end approaches, the pace picks up and I was more drawn into the story. Steinbeck's descriptions are beautiful, as ever. He has a real magic for capturing a scene and describing it perfectly, so the reader feels as if they are really there. I also love his technique of writing in phonetic language, so I could get a sense of how the family were speaking. I particularly liked the way he changed Rose of Sharon's name to "Rosasharn" in dialogue. I have to admit, I did read some of the dialogue aloud just because I wanted to explore the way the words would sound when spoken! Although I enjoyed the book by the end, I'm not sure I would necessarily recommend it. Maybe for a keen reader who wants to delve into Depression-era American classics but, otherwise, it's a lot of hard work. I think I'll stick to the other Steinbeck novel! This is THE most depressing book I have ever read. Haha you're not wrong there! WHAT? 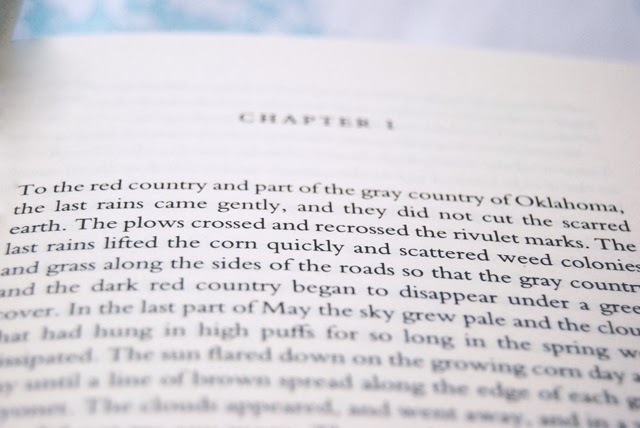 Of Mice and Men is my favourite book EVER!